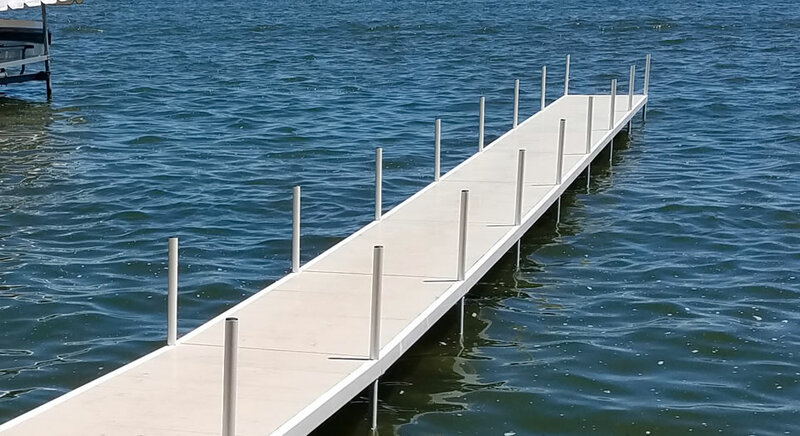 Ryco Dock's heavy duty powder coated steel frames are constructed so the dock sections can be pinned together, side to side or end to end, to form the desired configuration needed for your dock design. All corners and structural areas are designed for maximum strength, meaning the use of more steel and more welds than our competitors. 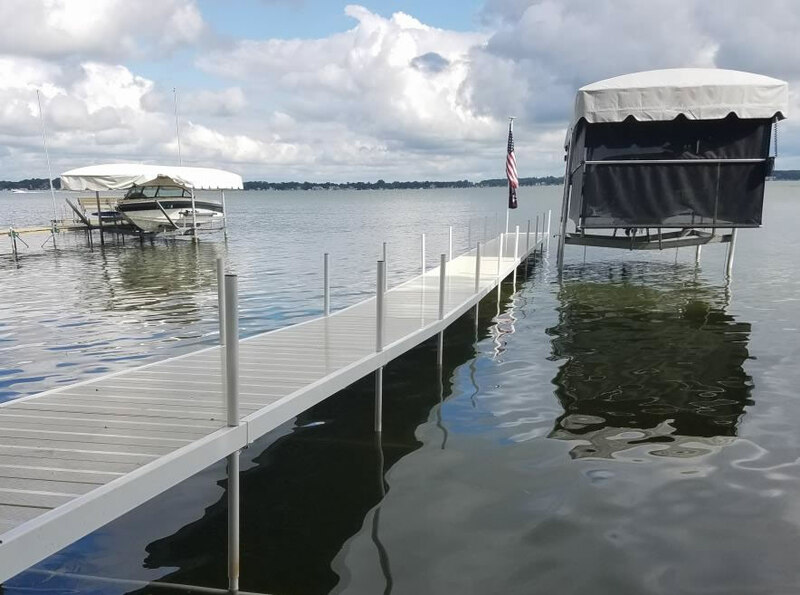 A variety of unique designs and accessories and heavy duty construction of our boat docks present long-lasting and maintenance-free enjoyment. 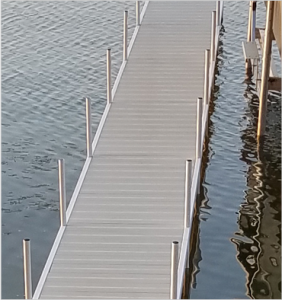 Ryco aluminum docks are designed to perfection and crafted without compromise. A vast array of options and accessories bring your vision to life. 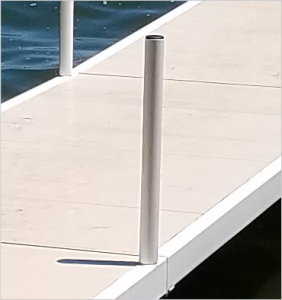 All factory manufactured components are constructed of marine grade aluminum. 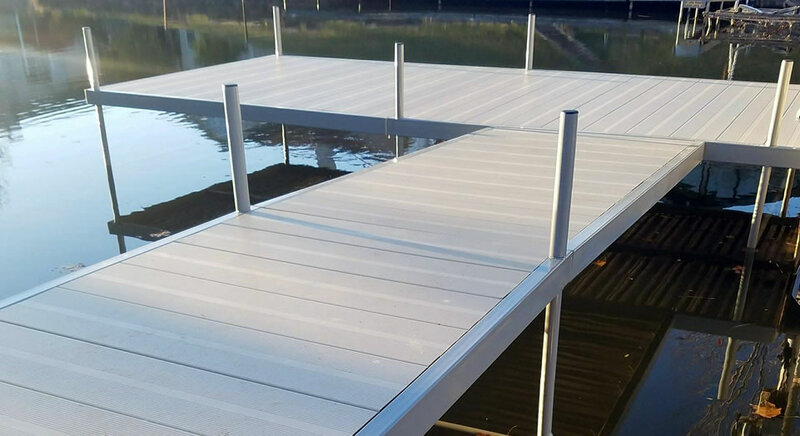 The components used to construct residential docks are designed for the demands of marina and commercial use, ensuring structural integrity and durability. 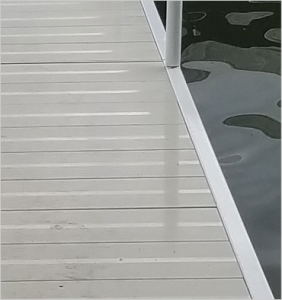 Together, we create a dock that’s perpetually beautiful and uniquely yours. Accommodating multiple types of lake bottoms.